This course is the follow-up to Logical Communication — a course that emphasizes logical flow, organization of ideas. The emphasis of this course, by contrast, is insight: those fleeting, intuitive leaps and connections we all make at some point — magic glimpses of understanding, and even wisdom. In our daily lives, we seldom capture our insights, seldom record them or explore them. Yet they make for splendid essays. Students in this course, accordingly, are trained, first, to notice and record their own observations and insights; second, to explore them in the form of essays. In schools, the essay is usually presented to students as a peculiar artifact of the classroom, unrelated to the outside world. Students come to know the essay as an unpleasant but necessary academic chore, one properly conducted in a rigid and tedious form, like the five-paragraph essay. Consistent with this approach, students are usually asked to write essays before they've actually read any. Everything about this approach does students a real disservice. The fact is, essays play a vital role in the real world: they are the principal forum for sharing insights or discoveries or for hashing out controversies. 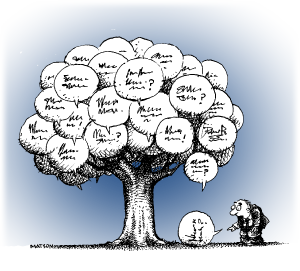 In virtually every field of human endeavor — science, economics, history, law, foreign policy, you name it — the leaders or pioneers in the field invariably turn to the essay as the medium of choice for discussing new developments out on the frontiers of discovery. So in every field, the most important discussions and debates take place in the form of essays. In addition, traditional writing instruction leaves students ill-prepared for writing challenges they will soon face — e.g., college-admissions essays, scholarship-application essays — which bear little resemblance to the five-paragraph essay. Students in this course, by contrast, emerge not only with relevant training for writing such essays; they emerge with a toolkit for producing them with great efficiency. 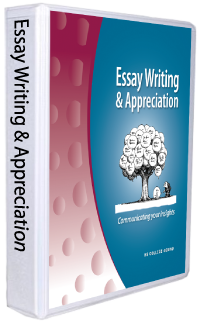 It's no accident that this course is called Essay Writing & Appreciation: our students read some of the finest essays ever written. In the process, they come to a profound appreciation of what can be accomplished in this versatile form. An understanding of the form and what it can achieve is essential to the purpose of the course, which is to equip students to express their thoughts and insights in writing. In so doing, the course prepares our students to participate in the real world of essays — discussions conducted by leaders in whatever fields our students may pursue. We felt relief at having found you and had high hopes from the beginning. Everything we wished for our daughter has come true. Your insight is amazing. The respect with which you treat the students is admirable, as is your ability to challenge them and interest them in what you teach. We are also happy with the peer influences exerted. I would recommend The Blend to anyone searching for an excellent education in an excellent environment. We look forward to another year. read and critique one another's essays. The fee for this two-semester course is $ 1340.
payment due by September 1, 2019. Writing is one of the most difficult subjects to teach — and partly because it is not a single complex skill, but rather a host of skills, all different and intertwined. It is also a process — and like all complex processes, it is susceptible to inefficient, i.e., time-wasting, approaches. a sound process — an approach to writing that addresses all the critical stages and presents them in the most effective sequence, e.g., getting your thoughts clear before you try to write sentences and paragraphs. To produce clear writing, students must first have clear thoughts. To write in a particular form — like the essay — they must first understand and appreciate that form, i.e., they must explore models. Students must be equipped with a rich arsenal of tools not only for writing, but for thinking — for working with thoughts and ideas. Students must learn to appreciate the craft of writing, with insight into what gives a sentence real impact, what makes a train of thought easy to follow, what makes an argument compelling. For all these reasons, we teach writing in stages, with the first stage being Logical Communication — a course in which our students become adept at working with ideas, identifying sound arguments, and perceiving logical flow. Also, our students read and come to appreciate great essays, and then they begin to write essays themselves.